50 More Journal Writing Prompts are here. Yes, you may with attribution. I can’t figure out how to follow you, unless I’m doing it right now. 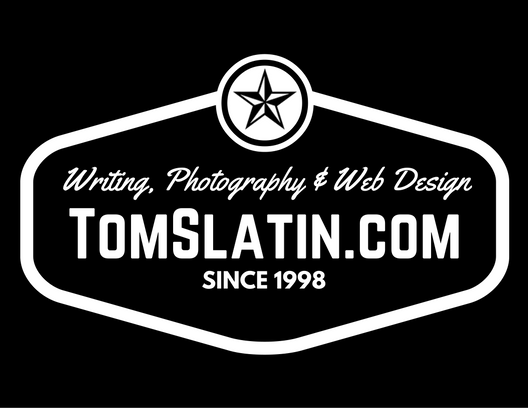 If you need anything, you can reach me here: tom@tomslatin.com. Pingback: To Journal or Not To Journal….That is the Question! Pingback: Blog Post # 17 | Mr. Watson's Blog! I’m very glad I found this list! So many lists of writing prompts are too childhood-centric or self-help-introspective-ish, but yours is balanced and fun. I’m looking forward to using many of these as starting points for writing practice. I have great respect for copyright laws and the intent behind them, so I ask for your permission to use all your prompts in my own personal journal. Thanks so much! You can absolutely use them in your own private journal (no permission needed). However, if you wish to post the questions one at a time publically, or share a copy of these with a friend, you must mention the source URL. Hope this helps. What is a paralell excercise? I loved these and so I’m slowly putting them on my blog. Of course there’s a source linking back to this post. Thank you so much for posting them, they’re so useful and inspiring, really. Much love from a little apprentice writter. Awesome! Thank you, and don’t forget to link back. I’m going to put together a master list of all the folks who have used these, but there is no particular deadline as of yet for this list. Pingback: Johanna's Blog » Blog Archive » Post # 4 – Gone But Never Forgotten . Awesome ideas! you could even use some of these ideas for a blog post. Lots of folks already have. Q: Describe my first car. A: Harbor water green, the murky kind. Good ole’ Freddy, he never did let me down, unless I insisted on driving over 50 on the freeway. Loved that car and its ridiculous memories but hated it at the same time. A beat up, decrepit, nasty looking bmw from 92′, good year I know, I remember it well. I had just turned two…I thought it was funny. Any way it feels good to write, even about something so small. Maybe I’ll post a grammar tutorial in the near future. Only time will tell. I’ve never been to Universal, but I have been to Disney Land and Disney World. One of the best trips I’ve ever taken was a round-trip road adventure from New York to Florida and then back again. Wouldn’t it be nice if everything were this easy? an actual LIST of things to ‘write’ ahh……. Nice…huh? Thank you! I’ll keep that in mind. Thanks for your help and support! Thank you for making these public! These are great prompts for adults and children. I would like to use some of your prompts as assignments for my blogging class as my students start their own blogs. I will be sure to only use one prompt at a time, and I will include an attribution to your site. Is it enough to to include the attribution in the prompt post, or should I have my students reference your site in their responses as well? You will need to have your students reference the site as well as yourself. Because this is for educational purposes, this is all that will be required in exchange for using these prompts. Thanks for your interest, and for asking! Thanks for these detailed prompts. Very helpful list here. I’ll be visiting again. Thanks so much this will help me so much in keeping up with my blog. I will visit often for ideas. Thank you so much for posting this list. I consider myself a writer, but sometimes I’m completely stumped when it comes to finding new topics. This list is perfect to challenge myself, think outside the box, and tap into thoughts that have not been thought in a while. This is an amazing stumble. Thanks, much power to your pen. I would love to see my site listed on yours! Thanks, Sonia! You can use them one-at-a-time on your blog, with credit (link back) if you wish. Why do you put the prompts out if you don’t want anyone to use them? I never said you or anyone could not use them, I simply stated that nobody would be allowed to copy and paste the entire list. They’re legally protected copyright and even though I have posted it online, it does not give anyone the right to plagiarize. Do you think it likely anybody would want to copy this list? Likely? They already have. I’ve reported at least 50 copyright violations from folks copying the entire list to their Tumblr accounts, without even giving me credit for it. Not to be a wet blanket. #63 and #73 are the same. Or am I missing something . . . . . ? Thanks, I never noticed that. I would love to have your permission to use the topics as a basis for blog entries when my mind goes blank and I’ve had a long day. Feel free to visit my blog and I will notify you when I use a prompt if given permission. Sure! No more than one per post, and please link back. Thanks again! I’m emailing you to ask if I can use your “80 Journal Writing Prompts”. I graduated with my degree in English Education this past April. I’m currently a substitute teacher and hope to be a teacher with my own classroom in the next few years. Could I use some of the different prompts as appropriate in either the various classrooms I visit or even in my future classroom? I looked further down at some of the comments and noticed that you had written in response to several questions: “This is fine, but like everyone else, you MUST provide links back to where you found it, and no more than ONE prompt per blog post. Thanks!” When or if I used the prompts it would only be one at a time and I would provide a link back to your original posting. Let me know what you think. Thank you! mention of my website along with them. thank you for taking the time to contact me with this request! No problem. Thank you for getting back to me so quickly! > on it). I will be sure to provide a link and credit your website whenever I do! I’m very excited to use them – they make me want to do some writing. I appreciate the resource you have given me and countless other bloggers, teachers, writers, etc. These prompts are the kind will push students to really write something authentic. Maybe someday I’ll have some of their writing to send you so you can see what your prompts produce. Hi Im a new teenage blogger and I Plan to use this list for the next little while, Is that okay as long as I post links to your site? Sure, this is okay. DO NOT post the entire list. I love the fact that you are using these! I have some more here, when you are finished with the original 80. May I use this as well? This is fine, but like everyone else, you MUST provide links back to where you found it, and no more than ONE prompt per blog post. Thanks! Im starting a blog and would love to use these topics, may i? These are great ideas! I would love to repost this with your link on one of my blogs! These ideas would greatly help my forever block. I love your page. Permission granted as long as you give credit and a link back. This is fine, but credit must be given with a link to the original page. Please be respectful of the fact that these are legally copyrighted in the United States. Enjoy, and thanks for your interest! Your site was the first one that came up when I pressed Stumble. I’m writing a blog about using StumbleUpon and have linked back to this page. Hope that is okay. Is that okay? Are you kidding me? Of course its okay! I love when folks mention my blog posts on other blogs! Let me know if I can be of any assistance with your writing. Sure, but DO NOT post the list anywhere else. Links are okay, and appreciated! thank you very much.. 🙂 i hope i can do these prompts justice. I will be having a book come out sometime this year (2011) with these and more, along with all-original photography to go with the prompts. An official announcement will be posted here at TomSlatin.com when it is published. This is absolutely fantastic and so helpful! Thanks so much for putting these all together. I put the link in one of my blog posts. A month or 2 (or 3??) ago. Thanks again! Hi, I “stumbled” upon your list of writing prompts. They are excellent and unique as far as I am concerned. I have a blog and plan on using some of your ideas. I will be sure to link back to your site to give you credit for the ideas you inspire. Thanks for putting this out there for people like me who sometimes need a little help with ideas. Good luck with your endeavors! Great! I look forward to reading what you come up with! Be sure to let me know and thanks for giving me credit by linking back to this post! thanks this will be of great help when im blogging. I have kept a journal every day for over a year now, and i have written about almost all of these things without even realizing what i have written, i reread the previous years for that day every day when i write.. its amazing how much differs, i like to see my growth, and that of those around me. I hold a legal United States Copyright on the text of these prompts, not the ideas. I simply do not want the list copied anywhere else as eventually I plan to get this list published in book and/or ebook form. Hi! Just saw this and I wanted to do these as a challenge to myself to see how well I can keep up with this commitment. 🙂 Feel free to follow me on the freewebs site I’ve made for myself, and enjoy the responses to the prompts each and every day. 😀 Thank you! I’m so glad I Stumbled Upon this!! This would be a great thing to write about!! Thanks! Thanks for the journalling tips and i cannot live without hearing some hard bop music every day. Thanks for this informative post on journal entry topics. I was reading through them thinking to myself what could be written from my life for each topic. I think it is good when relevant information gets your mind thinking. Love them. Always looking for a way to stave off writer’s block. Thanks for the list. I am really into photography and developing blogs it seem that we may have some interest in common so anyway i like your stumble and hang in there! Outstanding website and delightful journaling exercises! I’ve been journaling for decades and your “80 Journal Writing Prompts” are wonderful paths for thoughful self-discovery. Thanks for the comments, everyone! The response has been overwhelming! Pingback: Trying Something New… « Dancing through life…. Don’t get ahead of yourself; check your post for a typo and pronoun use: It’s posts like THESE that makes ME want to be an English teacher. It’s posts like these that make me want to browse the comment section. It’s posts like these that evoke the best comments and discussion! Thanks for inspiring me to write more posts! Please… Keep the comments and discussion coming! Grammar trolls are boring, Dennis. Try and imagine internet comments as spoken words. We don’t get to revise. It will make you a happier person, I promise. You are so correct. I have taught English for 30 years. I smiled when I read your post. Thank you!